To receive a quote or a free analysis of your insurance needs to learn about ways to optimize your coverage call us at (508) 877-0078. It’s easy to count your savings when you bundle your phone with your cable and Internet service or when you bundle your burger with your fries and a drink. 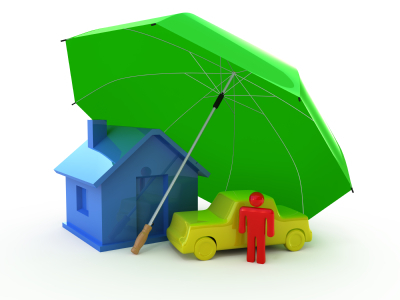 Did you know the same holds true for bundling your auto, home, and life insurance? Here are 5 important reasons to bundle. 1. Savings – Insurance companies are often able to give better deals when customers sign up for more than one type of insurance, such as auto, home, and life. And the more policies you add, the more you save. 2. Avoid the gap – By bundling your insurance through the same company, your agent can help indentify redundancies or gaps in your coverage. This could be especially useful in situations such as a newlywed couple trying to merge under one provider or a widower who needs to reduce his or her coverage. 3. One deductible – Some carriers allow you to pay just one deductible (the higher of the two) if more than one item is damaged during the same event. An example would be if your home and car were both damaged by a storm. 4. Streamlined process – Working with one carrier helps streamline the management of your account for payments, claims, and changes. While you may still find yourself paying separately for certain policies, most carriers try to make it as convenient as possible, even offering online or automatic payment options. 5. More discounts – Before signing on the dotted line, don’t forget to ask your agent if there are any other discounts you might qualify for. You never know! Massachusetts insurance isn’t like buying bread or milk. 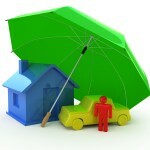 Insurance is an important safety net for your family, your home, your car or your business. Don’t treat the purchase lightly! J.D. Power reports that small businesses most value having an insurance agent who completely understands their individual business and provides guidance in assessing and managing their risk. The highest-ranked insurers deliver on both of these metrics for 60 percent of their customers, compared with the lowest-ranked insurers at 33 percent, according to the J.D. Power 2013 U.S. Small Business Commercial Insurance StudySM released on 9/3/13. The inaugural study examines overall customer satisfaction, insurance shopping and purchase behavior among small business commercial insurance customers with 50 or fewer employees. Overall satisfaction is comprised of five factors (in order of importance): interaction; policy offerings; price; billing and payment; and claims. Overall customer satisfaction among small business customers is 777. Satisfaction is significantly higher when an agent or broker understands their customer’s business and provides guidance regarding risk (835) than when neither of these metrics is met (645). Policy offerings—not price—is the primary reason small business customers select an insurer; level of service is the primary reason they stay with their insurer more than two years. Overall customer satisfaction among small business customers is 777 (on a 1,000-point scale). Among the five factors impacting satisfaction, interaction has the highest importance weight at 29 percent, followed by policy offerings at 26 percent. Interaction satisfaction is highest when customers interact with an agent in person (854). In contrast, satisfaction is significantly lower when customers interact via email (819). Customer satisfaction is highest among small businesses with 11-50 employees, compared to businesses with four or fewer employees (790 vs. 769, respectively). Higher scores among larger businesses are influenced by agents and brokers spending more time with these key accounts. Agents and brokers are not only interacting with these larger businesses more frequently, but the interactions are also three times more likely to be made in person outside of the agent’s office, compared to businesses with four or fewer employees (24% vs. 8%, respectively). 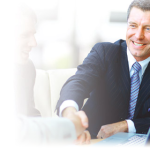 Consultation via face-to-face interactions allows insurance agents to understand the customer’s needs, provide helpful information regarding risk and tailor insurance products to meet their needs. Bowler also noted that satisfaction is higher when insurers inform small business customers about price changes in person (823) than when they inform customers by phone (805) or email (783). Policy offerings is an increasingly important driver of customer retention, especially for small businesses with 11-50 employees. The higher the employee count, the more important the product selection becomes. Nearly two-thirds (62%) of small businesses with 11-50 employees indicate policy offerings are a leading reason for retaining business with their insurer, compared with 50 percent of businesses with fewer than five employees. Confidence that they’re properly insured is of critical importance to small business owners, who need to understand the variety of insurance coverage options and know that the policy meets their needs. Among businesses customers who purchased their policy within the past two years, policy offerings, not price, is the most frequently cited reason for selecting their insurer. The 2013 U.S. Small Business Commercial Insurance Study is based on 3,742 responses from insurance decision-makers in businesses with 50 or fewer employees that purchase general liability and/or property insurance. The study was fielded from April 2013 through July 2013. McGraw Hill Financial (NYSE: MHFI) is a leading financial intelligence company providing the global capital and commodity markets with independent benchmarks, credit ratings, portfolio and enterprise risk solutions, and analytics. The Company’s iconic brands include: Standard & Poor’s Ratings Services, S&P Capital IQ, S&P Dow Jones Indices, Platts, CRISIL, J.D. Power, and McGraw Hill Construction. The Company has approximately 17,000 employees in 27 countries.